Yesterday I got my new bento box in the mail. 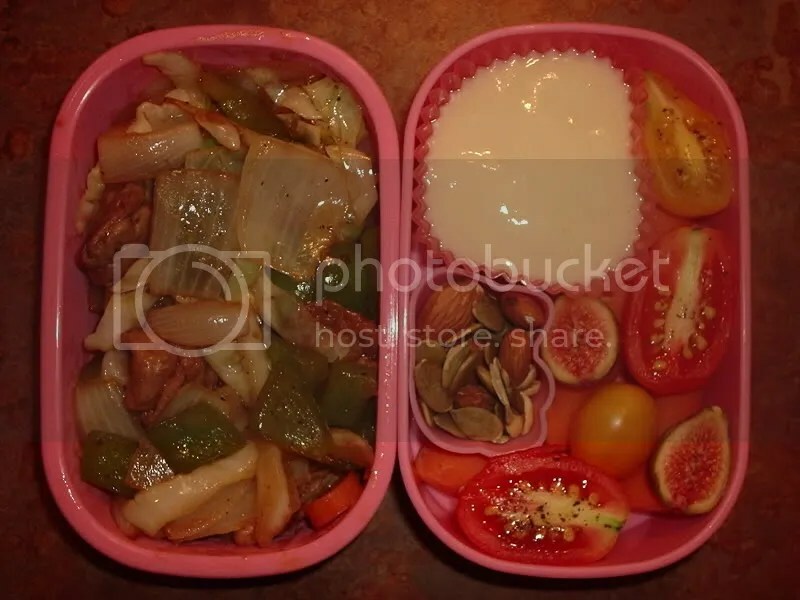 I was very excited about it, so even though I still had a bit of food left over for lunch today at work, I thought I’d go ahead and make a snack bento in my new box. 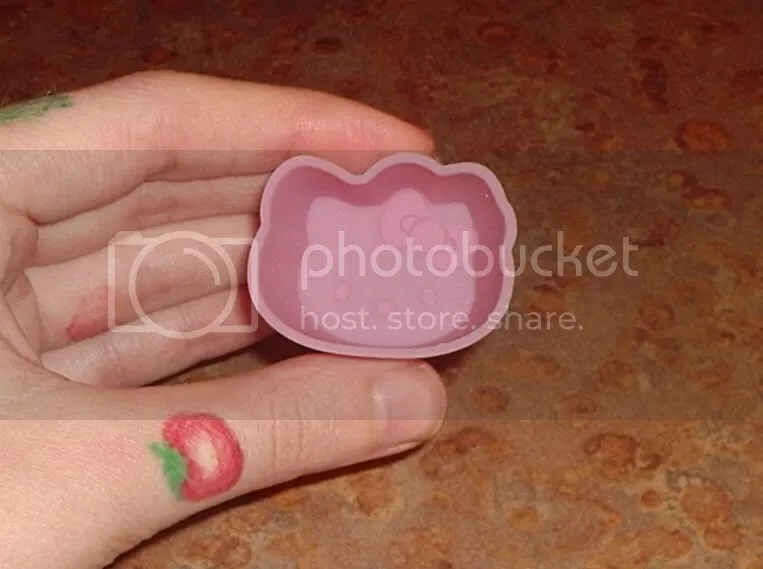 I found that my new silicone heart shaped cupcake baking cups worked great in my new box and fit the theme perfectly! 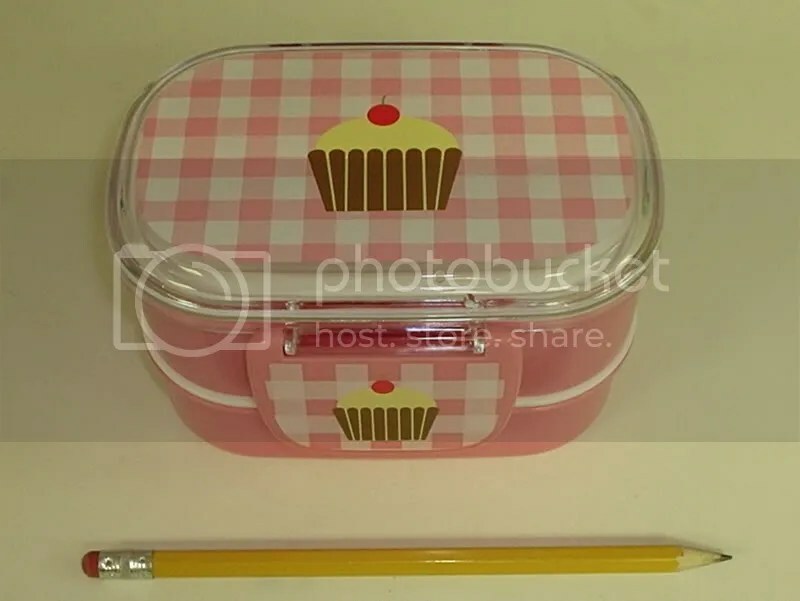 Here’s a picture of the bento box with a pencil to show how small it is. I think I’m getting better at making the bento attractive, but I still have a ways to go before I’ll be doing beautiful charaben. I also read up on food safety and found foods that will help keep everything fresh and safe throughout the day. That’s why the little key lime is added in there with the fruit. I also thought the lime juice would be good on the strawberries or in the tea. In the bottom layer: jasmine tea, fortune cookie, a mint. In the top layer: soy crisps, nori maki, a key lime, strawberries, raspberries, and grapes. This is my first entry in my new blog. I made this blog to showcase the different vegan meals I make and the sewing/craft projects that I do. Here’s a little info about me. I have been vegan for almost 6 years and enjoy making all types of meals for myself and boyfriend. I am also a fashion design major at UIW in San Antonio. I have one year to go and am very excited about finishing up my degree. 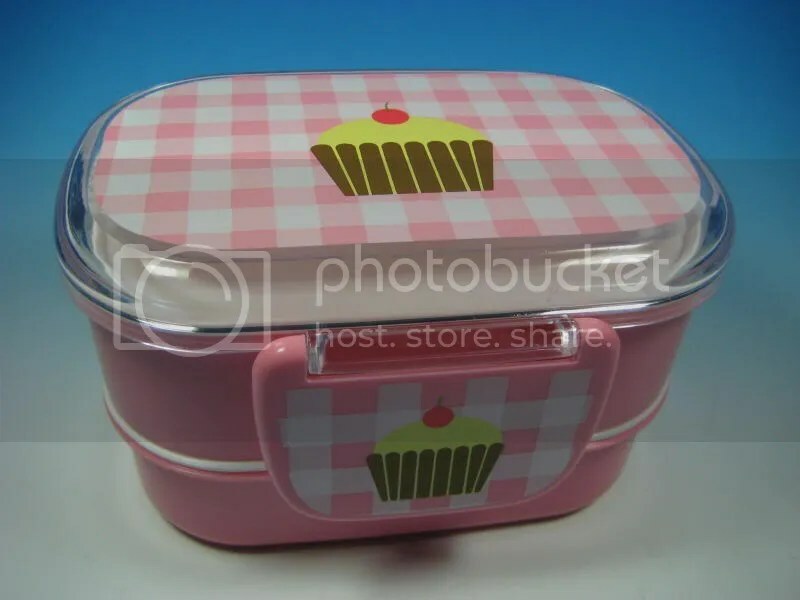 One of the reasons that inspired me to start this blog is that last night I just won (on ebay) my first bento box and I’m really excited about it. 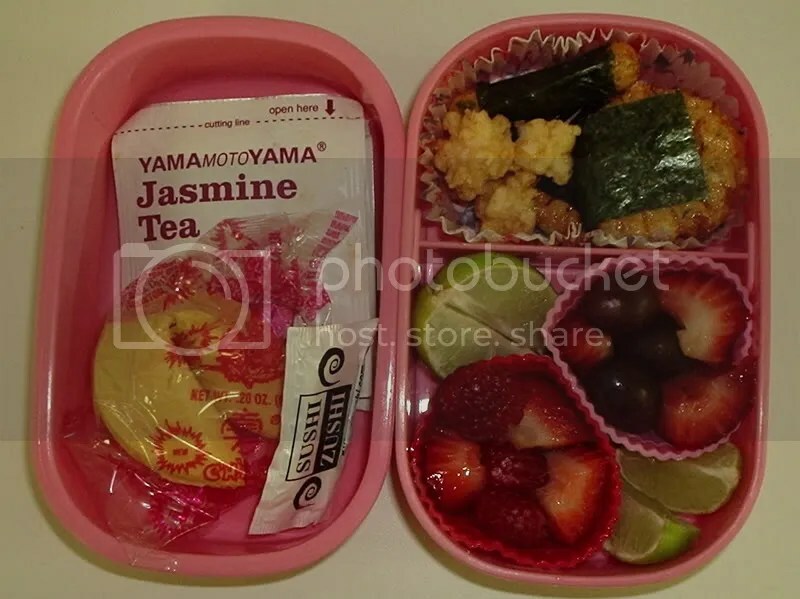 I can’t wait until it comes in and I can post pictures of all the cute bento meals I make. I won’t have any new meals to post in the next few days because I am working and going on a little vacation, but once I get back I’ll start posting more. 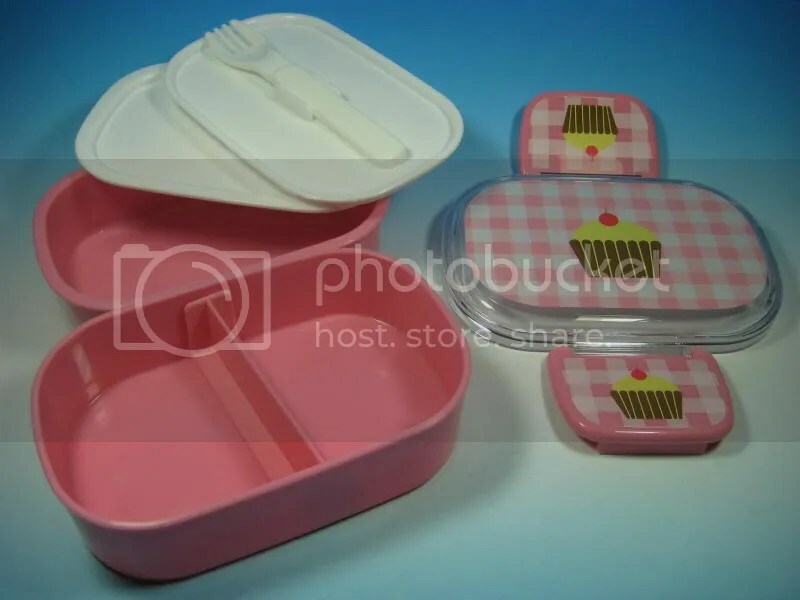 Here’s a picture of the bento box that I ordered.